Grew Up... in the majestic Kingdom of Tabor with her loving parents, Queen Eleanor and King Magnus. Snow White grew up “adored throughout the kingdom” and spent her carefree days enjoying the splendors of Tabor with her friend William. Unfortunately, her days of happiness were numbered. Living... in the ruined Kingdom of Tabor. Shortly after Queen Eleanor’s death, disaster struck in the form of Ravenna, a deceptive enchantress who murdered King Magnus after becoming his second wife. The new queen drained the land’s resources and imprisoned young Snow White. The princess has remained under her watch ever since. Profession... the rightful heir of the throne. The kingdom is in dire need of a new leader. Ravenna murders dissenters, decimates nature, and preys upon young women in order to maintain her beauty. The citizens feel hopeless. Unfortunately, the only person who can rally them is locked up in the castle. Challenge... surviving. Snow White has managed to withstand many years of imprisonment, but Tabor is quickly running out of resources. 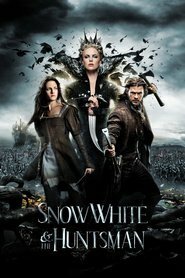 Ravenna needs to consume life in order to preserve her youth and beauty and Snow White’s heart is a very tempting option. Personality... resilient and immensely compassionate. 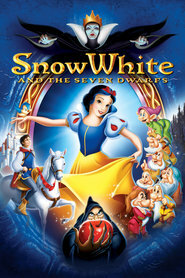 The years of isolation and darkness haven’t dulled Snow White’s inner light. She yearns to escape Ravenna’s control and restore hope to the citizens of Tabor. Snow White's popularity ranking on CharacTour is #1401 out of 5,000+ characters. See our top-ranked characters and read their profiles.